These patterns were designed by me. I hearby give you permission to use them for personal or charitable use. All I ask is you let me know when you use them, and mention where you got them. A photo sent my way would be nice to see how you put them to use. Enjoy. PS: if you have problems downloading or printing from Google Drive, please email me and I'll send it to you as an attachment. 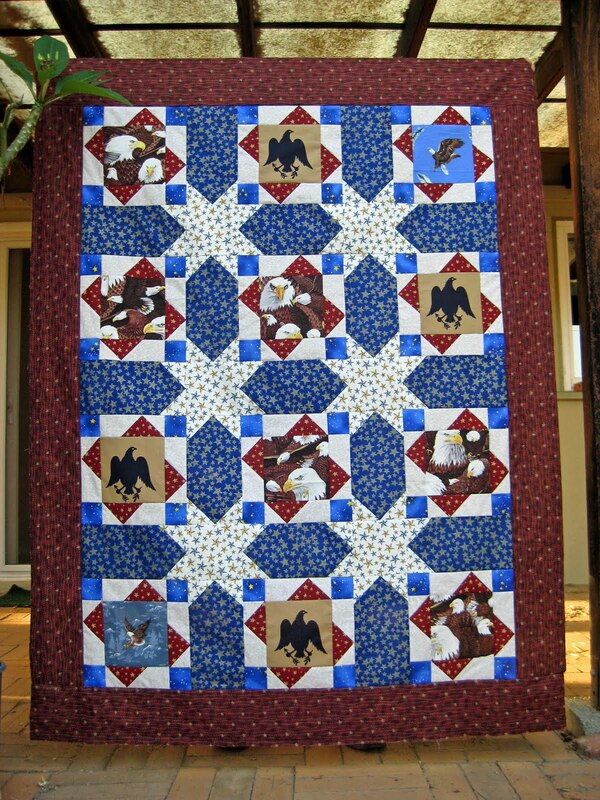 1-Block Double Sawtooth quilt - click here . 1. 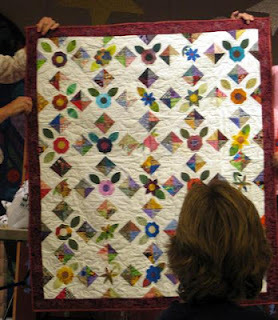 Easy Appliqued Flower Block - I designed this for our guild's 2011 Block of the Month program. Uses Heat & Bond Ultra Hold and NO SEWING for the applique! Here's a wall hanging made by one of our Guild members of the pattern. I think it came out so cute! She used a variety of flowers for the centers. 2. 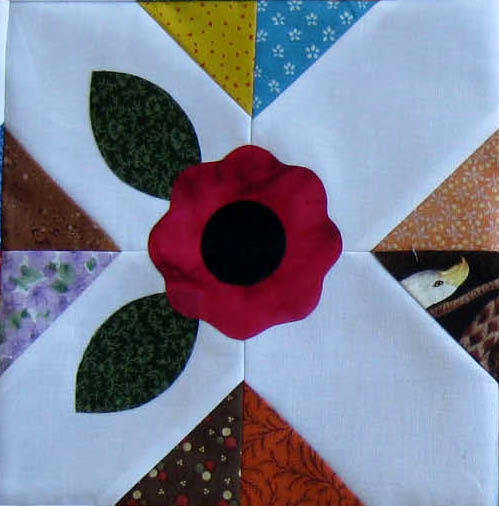 Simplified Rolling Nine Patch - I designed this for our guild's 2011 Block of the Month program. I took a rolling nine patch which really is a 25 patch block and made it easier to put together. I used scraps as this was our theme for the year. 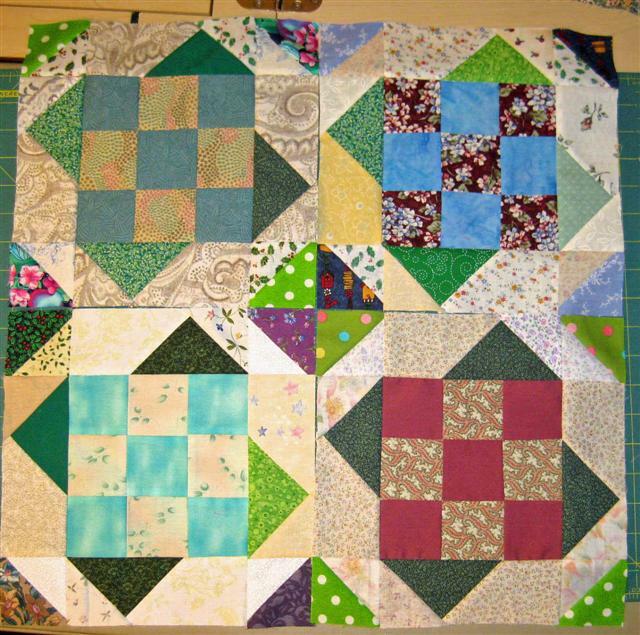 In keeping with the scrappy theme, I used an orphan 6 1/2" nine patch block as the center. The corners a can be leftover HSTs that are 2 1/2" square or just 2 1/2" squares. This will give you a different look. Click here to go to pattern. 4. Need a back? * Don’t have the yardage for backing your quilt top? Use fat quarters - one of my favorite tricks. Here’s a list to assemble a back from fat quarters assuming you have a useable 17 ½” x 21” rectangle (longest side horizontal) from your fat quarter. Pick a color family that is prominent in your quilt top and you won’t have to worry about matching - a great reason for visiting your local quilt shop and buying some coordinating fat quarters. Go! Sewing a 2 by 2 grid of fat quarters gives you a 34.5″ by 41.5″ back. Sewing a 3 by 3 grid of fat quarters gives you a 52″ by 62.5″ back. Sewing a 4 by 4 grid of fat quarters gives you a 69.5″ by 83.5″ back. Sewing a 4 by 5 grid of fat quarters gives you a 69.5″ by 105.5″ back. Sewing a 5 by 5 grid of fat quarters gives you a 105.5″ by 105.5″ back. If you need a wider back – add strips to the vertical sides. 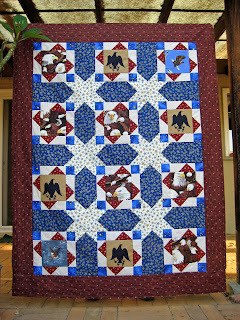 * Adapted for quilters from an article by Penny Haren in the Checker Newsletter for retailers. My fat quarters are bigger than the ones Penny used. I bet yours are too in that long ago assembled stash.